From my perspective, the birding hobby appears healthy and growing. 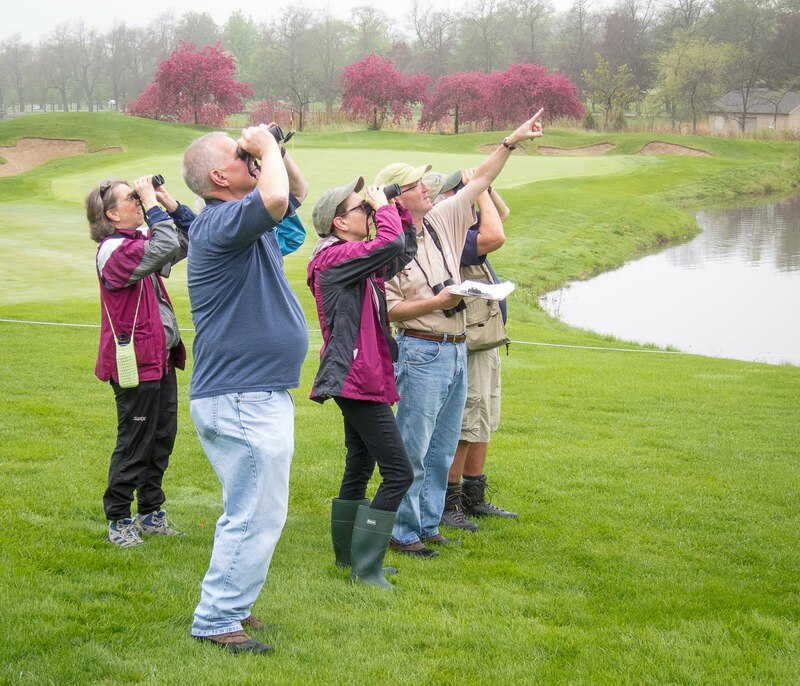 The bird walks and meetings I attend are usually well populated, and membership in the DuPage Birding Club continues to rise. The national trend is positive, too, based on a USDA Forest Service report issued in April. 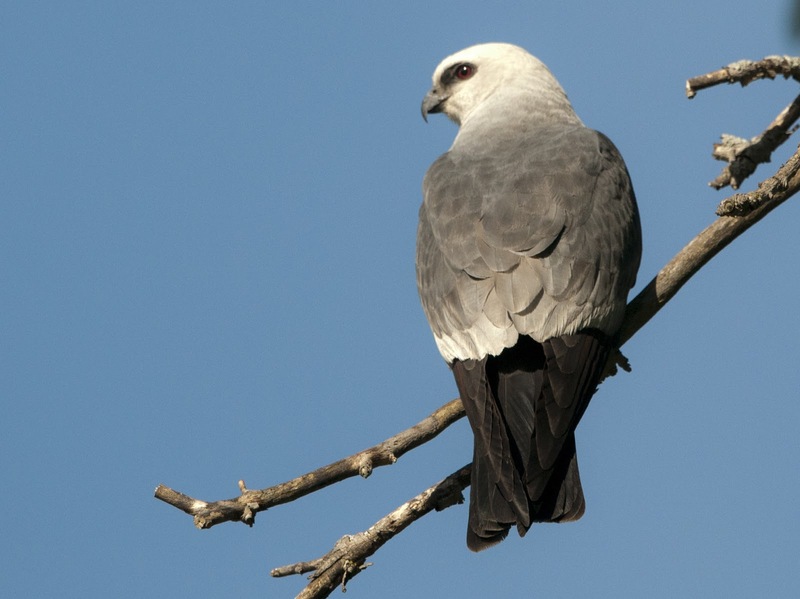 However, the report said that while birding continues to grow, the pace of growth has eased. 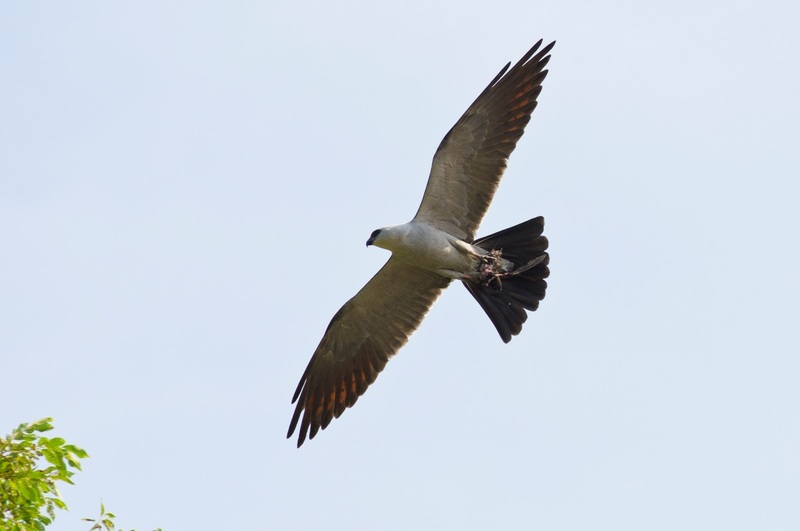 That may not qualify as a “dark cloud” but there’s no doubt that birding is falling short when it comes to attracting youngsters and ethnic minorities. Birding can never have enough cheerleaders. We know our hobby is fascinating and fun, but we could probably do a better job of sharing it. Perhaps nobody embraces that idea with more enthusiasm than Richard Crossley, a popular figure on the national birding scene and best known for his “Crossley ID Guide” series. 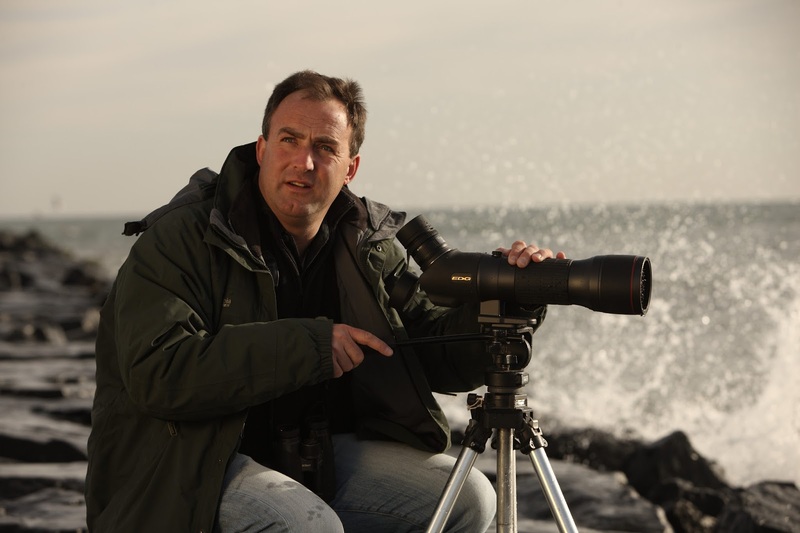 A native of England now living in Cape May, N.J., Crossley will visit here on Sept. 12 as a guest of the DuPage Birding Club. All are welcome to attend his presentation at Cantigny Park in Wheaton. Crossley moved to the U.S. in 1991. He hasn’t lost his Yorkshire accent or his memories of hitchhiking 100,000 miles during his youth in pursuit of birds. I asked him if he still gets the urge to “twitch” a rare bird, such as the rufous-necked wood rail that appeared in New Mexico in July. More about the books later, and their development is a great story. But what really excites me about Crossley is his passion for getting more people to try birding. He is absolutely on a mission, and his trusty Nikons are focused on young people in particular. In 2012, Crossley co-founded Pledge to Fledge, a global outreach aimed at hatching new birders. I like the concept so much that I added the “P2F” banner to the front page of my blog. The idea is for active birders to inspire a broader public appreciation for birds by sharing their passion with others. It starts at the grass roots level by taking a friend or other non-birder out to see and enjoy birds for the first time. Crossley says Pledge to Fledge is getting some traction but will take years to build on. “Mobilizing birders is very difficult,” he admits, and recruiting new birders also is challenging. But Crossley is not discouraged. Crossley and his wife Debra provide time and leadership to the Cape May Young Birders Club, which they co-founded. On Oct. 19 the club is hosting a Young Birders Day in cooperation with other youth birding groups. They hope a few members of Illinois Young Birders might be able to attend. One senses that Crossley’s time with the kids has been transformative. Indeed, so has his work on the Crossley ID Guides, the first of which (Eastern Birds) published in 2011. His ID Guide for raptors debuted in April. The books are quite different than conventional field guides and have caught on fast with birders. Crossley’s marketing materials say the guides provide the first real-life approach to identification. Pages feature lifelike scenes with multiple photographic images of the same species, the goal being to match what a birder really sees in the field. Crossley will discuss his creative process for the ID Guides when he visits Cantigny and perhaps talk about what’s next. 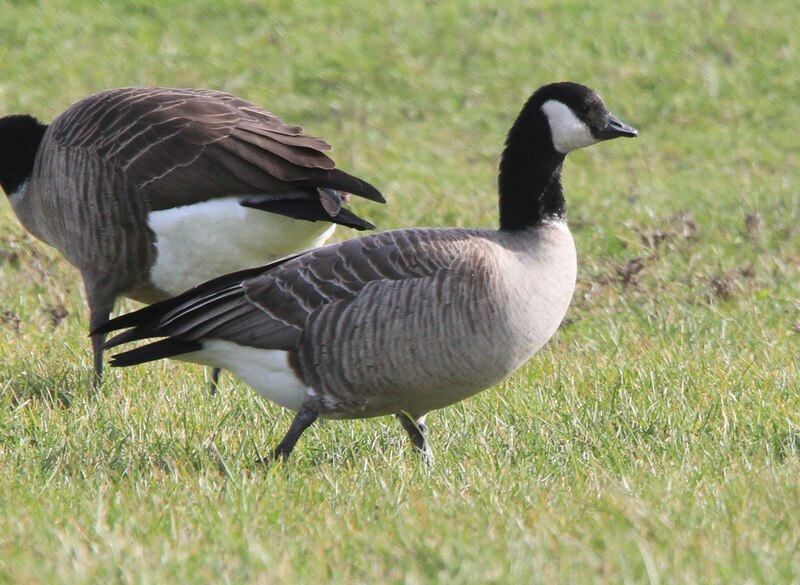 His website indicates new guides are on the way for British birds and western U.S. birds. If you have a chance, do take a look at crossleybirds.com. The site includes some excellent short (and funny) videos with Crossley offering specific advice to help us become better birders. You can see the man in action, too, shooting birds through an enormous lens. His energy level in the field is impressive. “I still feel like I’m 21 years old when I’m out, but I have two teenage daughters who remind me that I’m not,” he says. Richard Crossley obviously enjoys his craft, and the birding community is better for having this former twitcher in its ranks. He’s a bookseller, sure, but he’s giving the hobby more than he’s taking. 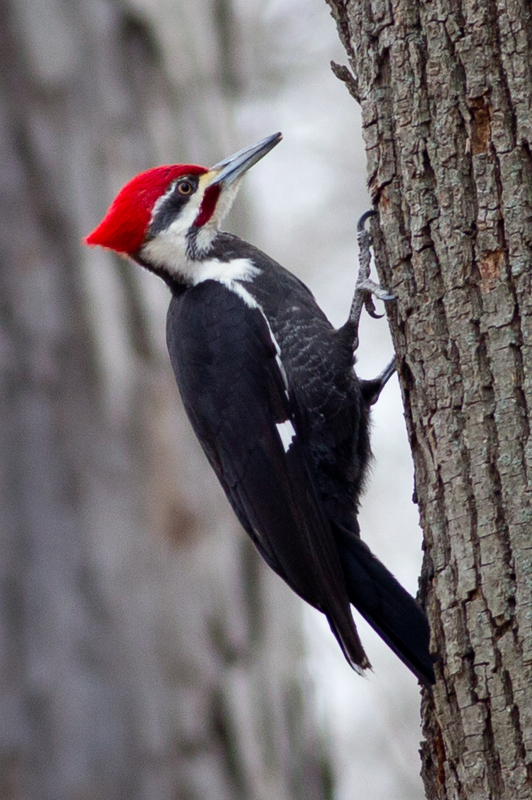 April is a time of rising anticipation for local birders. 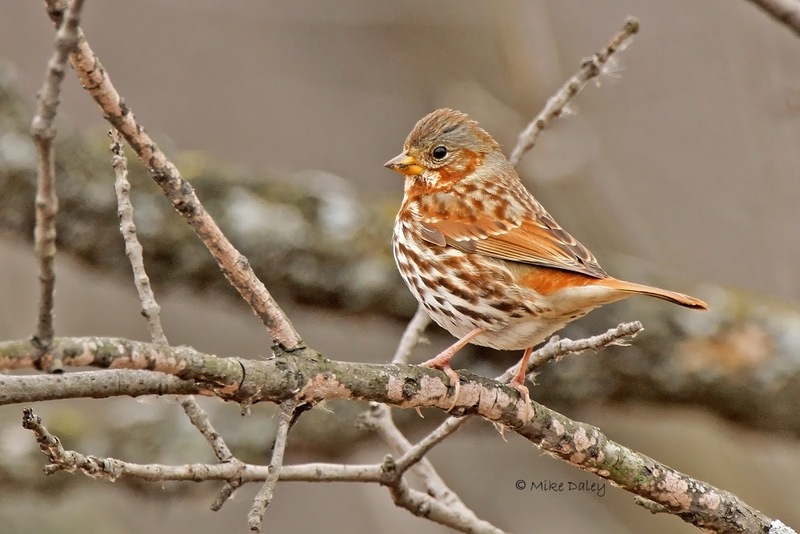 We know the best of spring migration is just ahead. 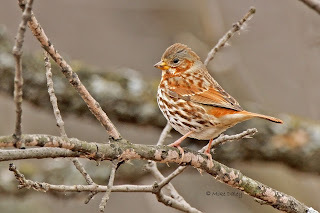 Soon the dazzling buntings, grosbeaks, orioles, tanagers and warblers will arrive in numbers, a yearly spectacle that never gets old. I enjoy the colorful pageant as much as anybody, but this year it’s one particular species I’m looking forward to most. Not a flashy one either, just a little sooty gray bird that most people never notice. I’d never given much thought to chimney swifts until 2011. That’s when Ray Kotz and Jackie Vernot, a Naperville couple, approached with an extraordinary offer. Would Cantigny Park, they asked, be interested in a home for swifts? Ray and Jackie wanted to build a chimney swift “tower” and thought Cantigny, where I work, would be an ideal site. They know the property well from their participation in the park’s monthly bird walks. Soon a package arrived from Amazon.com, sent by Ray. Inside were two books, one about chimney swifts and the other about building swift towers. The Texas-based authors, Paul and Georgean Kyle, are well known for their work in chimney swift conservation. Their books and website, ChimneySwifts.org, are prime resources for anyone interested in Chateura pelagica. The chimney swift is a common species that visits our region from late April through mid-October, give or take a few weeks on either end. It spends the rest of the year in the upper Amazon basin of eastern Peru, northern Chile and northwestern Brazil. Swifts spend most of their daylight hours in the air, feeding on flying insects. 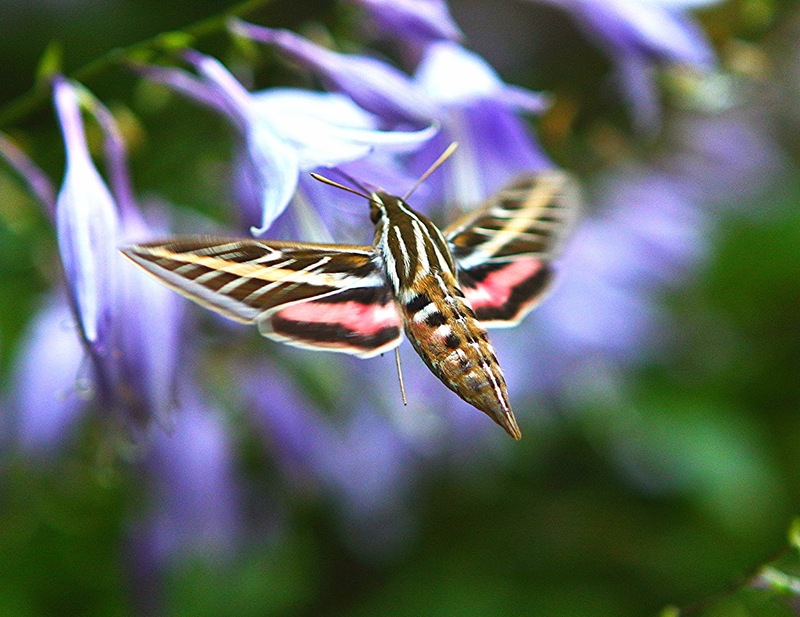 You can hear their loud “chippering” as they dart about the sky on long swept-back wings. At night they roost in groups. Unfortunately, as with many other neotropical migrants, the swift population is declining. 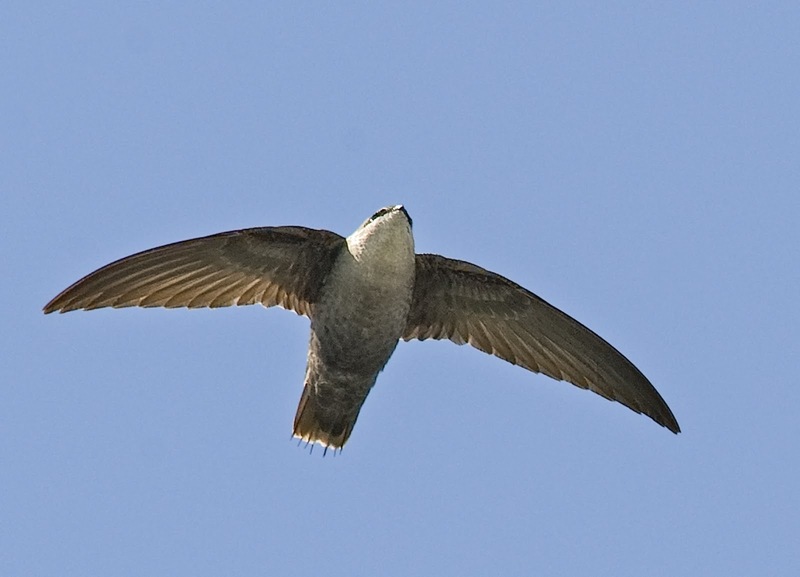 While not classified as a threatened species in Illinois, chimney swift is listed among “Birds of Concern” in the Chicago Wilderness Region. The swift once relied upon natural habitat for roosting and nesting. It was primarily a woodland species and favored large hollow trees. But as America developed, swifts adapted to the urbanized landscape. Silos, industrial air shafts and brick chimneys became their new haunts. These days, however, suitable man-made structures are in shorter supply. Factory smokestacks are demolished, residential chimneys are capped, and new chimneys are often lined with steel, rendering them useless to swifts. Fortunately, chimney swifts will utilize “artificial” housing, just like purple martins and Eastern bluebirds. Havens like the one Ray and Jackie were proposing for Cantigny can help. Well, to make a long story short, the park accepted their generous offer. Ray and Jackie developed the plans, hired the contractor and paid the bills—a remarkable gift. Cantigny Park will find out. Completed in November, the 15-foot Cantigny swift tower rises from the park’s prairie habitat, near the Idea Garden. The structure includes a display board with facts about the species it is designed to serve. Now we wait for the birds. It could be weeks or it could be years. With swifts, as with purple martins, all you can really do is find a good site, offer the proper housing and then cross your fingers. I know of only two other swift towers in the region and both are still awaiting their first customers. One is located along the Batavia Riverwalk. Dedicated in 2010, the tower aimed to mitigate the loss of Batavia Bowl, which was demolished. The bowling alley’s large chimney had been a popular roosting site for swifts. Also in 2010, the McHenry County Conservation District erected a swift tower at Prairieview Education Center in Crystal Lake. Swift towers provide ample and safe space for dozens of roosting birds. Inside, the swifts cling to the roughly textured walls, facing upward. Their feet and short tails are specially adapted to this vertical lifestyle. In fact, swifts are incapable of standing or walking on flat surfaces. Only one pair of swifts will use a tower to raise a family. Their shelf-like nest, truly an avian marvel, consists of tiny sticks, held together and fastened to the interior wall by sticky saliva. I dream of seeing my first chimney swift nest, hopefully inside the new tower at Cantigny Park. More immediately, I’d like to witness the summer spectacle of hundreds or even thousands of swifts entering their evening roost. I’m told it’s like watching dark smoke swirl backwards into a chimney. Paul and Georgean Kyle, the book authors, refer to chimney swifts as “mysterious” birds. That’s because we almost never see them up close or at rest. The Kyles solved that issue by installing video equipment inside several swift towers located on their property. They watch the birds on a big screen inside their home! The rest of us must settle for enjoying the sight and sound of swifts high overhead, and that’s not a bad alternative. We may not think about chimney swifts very much, but some of us would sure miss them if they were gone.